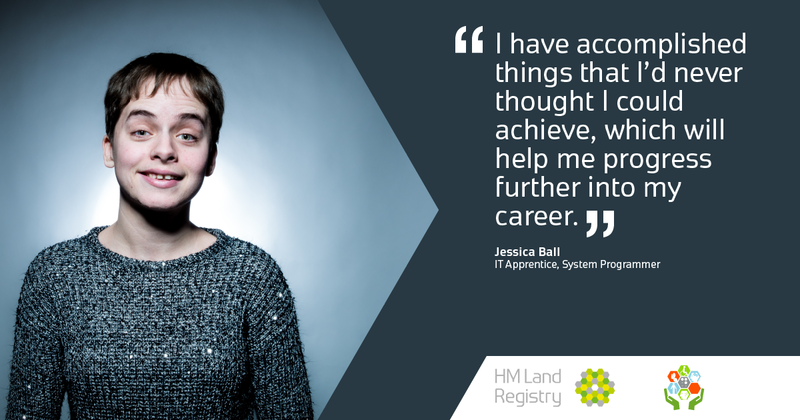 I’m Jess and I have been working as an IT Apprentice at HM Land Registry since October 2016. 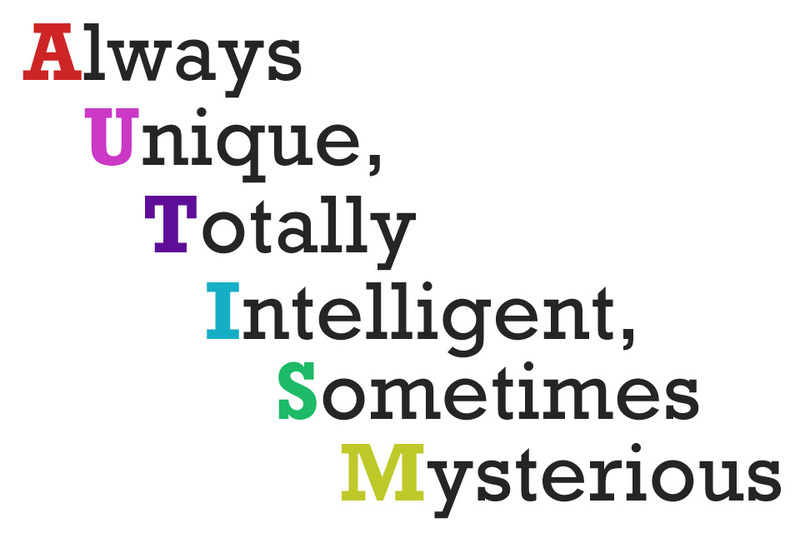 I suffer from an autistic condition called Asperger’s Syndrome. This means I sometimes find social interaction and non-verbal communication really challenging. It’s at the high functioning end of the spectrum, which means I can do tiny things that more severely autistic people would potentially find more challenging. Before working at HM Land Registry (HMLR), I was at a place where I didn’t want to be. During 2016, I was constantly having meltdowns at university, due to me not being able to complete assignments to the best of my ability. I found the course too demanding, so I finally decided that university wasn’t for me and I dropped out. Because of my condition and being unemployed, you can imagine the amount of stress and anxiety I had while trying to look for a job. So, when my uncle shared a job through Facebook for IT Apprentices in HMLR’s Digital, Data and Technology Directorate in Plymouth, part of me felt like I wouldn’t be able to cope, due to my experiences at university. I went to the open evening in July 2016, and I must admit I was pleasantly surprised. Seeing all the projects they were doing, as well as finding out I would be exploring different teams during my apprenticeship and the support that I would get if I got the job. Hearing from current apprentices who spoke about their experiences and the benefits, made me realise that HMLR would be a wonderful place to work. HR also gave us some useful tips on how to make a successful application and what techniques to use. That reassured me that the application process wasn’t going to be as hard as I thought. In the past, I have always found job interviews very intimidating. The panel made me feel at ease when the interview started, and I could tell they wanted the best for me and all the candidates who applied, regardless of disability or background. I declared I had a disability but wasn’t ready to reveal what it was until I started work. I was so happy when I got the job and I was excited to get going. A few days after joining, I decided to tell my line manager about my disability. This was important because it meant we could get my reasonable adjustments sorted. My line manager was keen to put the right adjustments in place, which would allow me to perform at my best. I told her about the barriers I currently faced and ones I could face later. This meant the right support was put in place for me as soon as I started in my first IT team. After six months, the reasonable adjustments were easily transferred to the team I’m in now, and they were able to adjust accordingly. That made me feel at home. My social interaction and communication with colleagues outside my team have also improved. I can do things that I wouldn’t have imagined doing two years ago. I can present to an audience more confidently and negotiate with other teams about various tasks, such as what mainframe software needs installing. I’m able to adapt to change more easily now, and more importantly, I’m not fussed if my workday doesn’t go according to how I planned it. For someone who is looking for a job and might have a barrier which stops them applying, HMLR has published a blog post with tips on how to write a successful job application, which I strongly recommend you look at. Organisations such as Remploy and Pluss can help people with a disability or mental health conditions, by offering advice about job interview techniques, how to write a good CV and covering letter, and how to cope with your first few days at work. HMLR is always on hand during any stage of the recruitment process, whether you need adjustments in the interview, clarification on certain aspects of the application or to ask any questions about the job. They give you helpful feedback at every stage, so you can improve for next time. Don’t be put off from applying just because of your background. If you are enthusiastic about the job you are applying for, then give it a shot. We all have faults Jess. Some run to the victory. Even with the difficulties of life. I have 3 autistic children and my youngest in particular (who is 18) is struggling to obtain even a part-time job. It is great that some employers are now starting to recognise that autistic people are worthy of employment and that they can make excellent employees with just a few adjustments or assistance - well done Land Registry! Hopefully more and more employers will start to open up opportunities. Thank you for sharing your story and well done you! How sad that the university couldn't make similar adjustments.